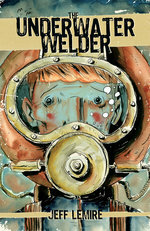 News | Jeff Lemire reveals first look at THE UNDERWATER WELDER! Essex County author Jeff Lemire has had a good week - he's announced the triumphant finale of Sweet Tooth and been nominated for four Shuster Awards! - and decided to celebrate today by revealing three amazing new pieces of interior art from The Underwater Welder, his highly-anticipated next graphic novel from Top Shelf! 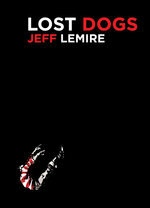 Click over to Jeff's blog to see the stunning pages at full size. 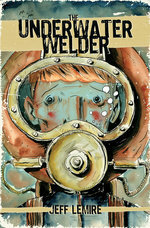 The Underwater Welder can be pre-ordered now, for release in August. And don't forget to grab Lost Dogs, Jeff's early Xeric-winning graphic novel, now republished by Top Shelf in a lovely new edition!